Hola!! 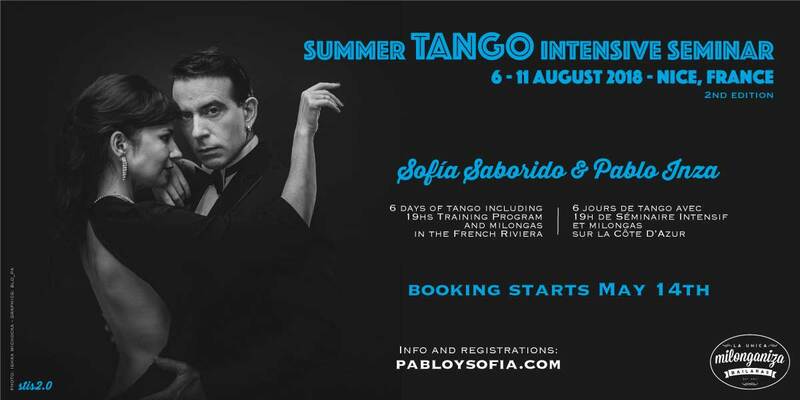 Here you will find all the information related to the second intensive seminar of tango with Sofía Saborido and Pablo Inza that will be held from Monday 6 to Saturday 11 August 2018 in the city of Nice, France. Hola!! Vous trouverez ici toutes les informations concernant le deuxième séminaire intensif de tango avec Sofia Saborido et Pablo Inza qui se déroulera du lundi 6 au samedi 11 Août 2018 dans la ville de Nice, France.